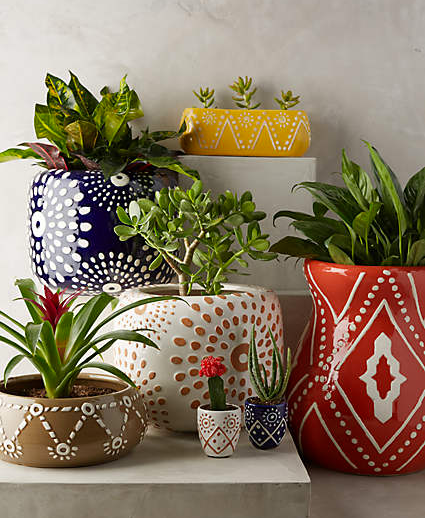 I have been eyeing Anthropologie mugs since long and to make my desire even stronger Anthropologie recently launched an enticing collection of Leta, Concha and many other garden planters. 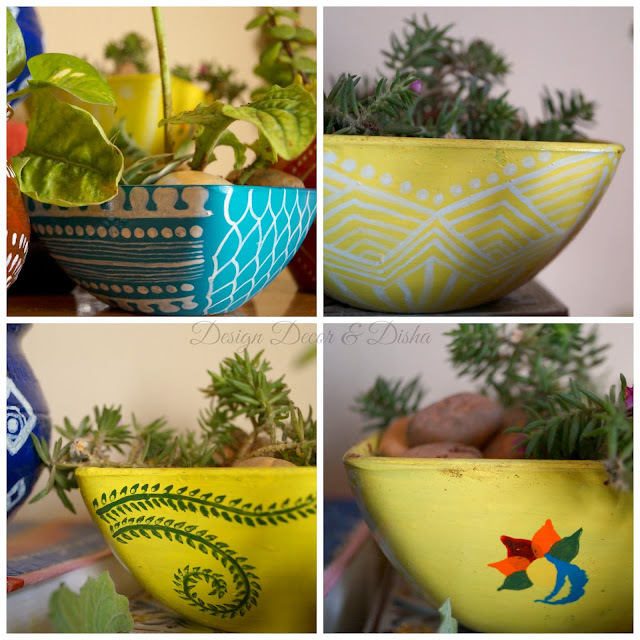 The moment my eyes set on those beautiful, vibrant planters, I wanted to recreate the look. 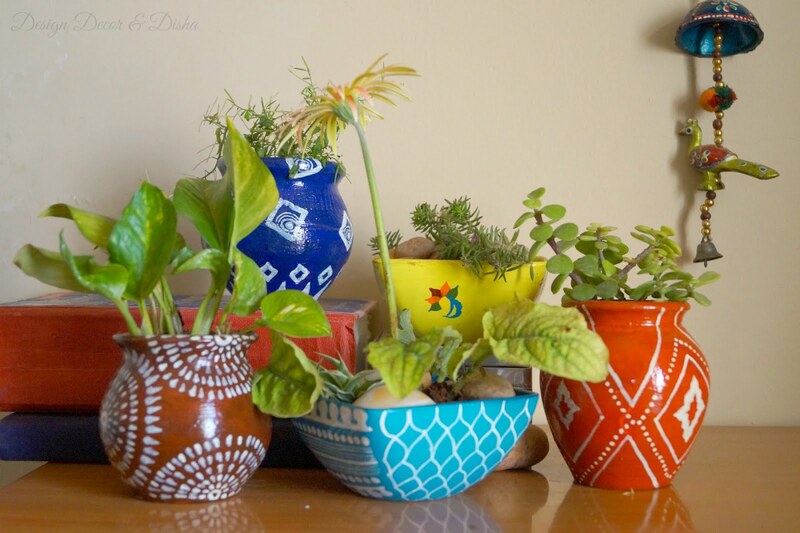 Let me first show you how beautiful these pots and planters are. 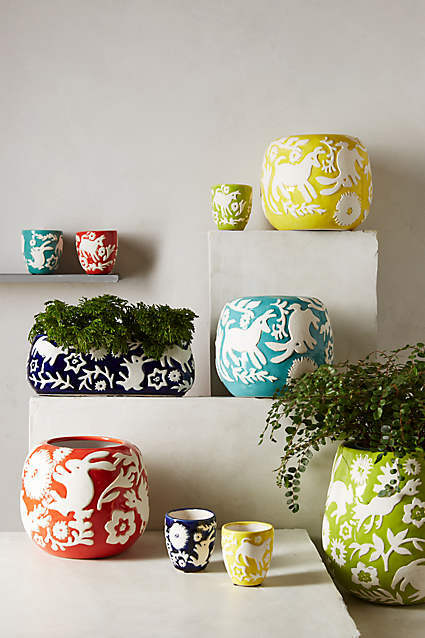 Below are the range of Concha garden pots. Ain't they beautiful beyond words. 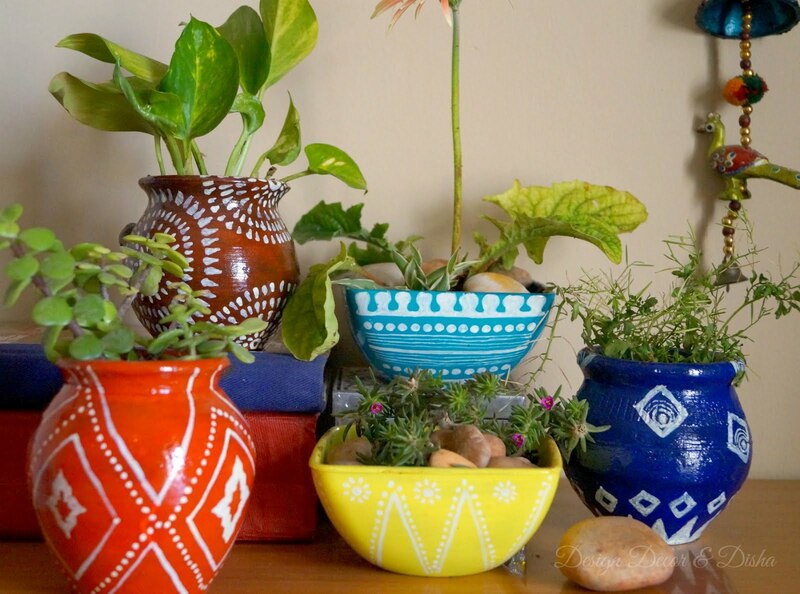 The patterns and colours of these planters are so interesting. 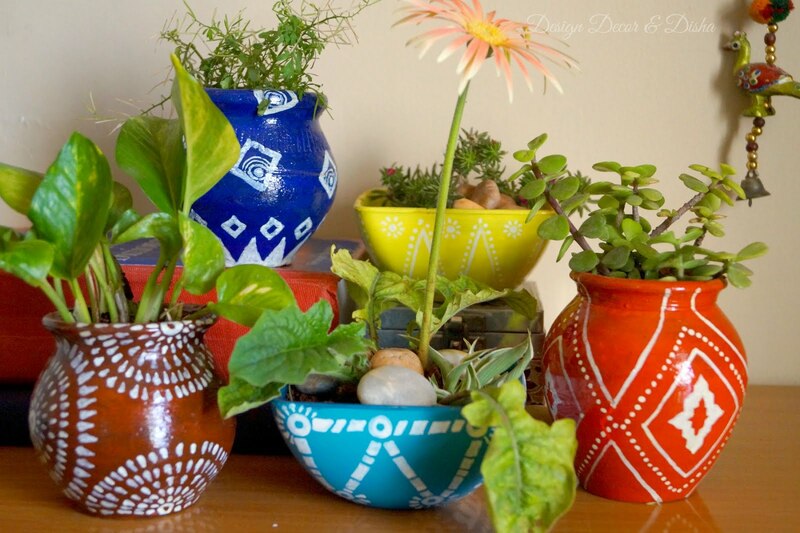 And look at these Leta Garden pots in below image. 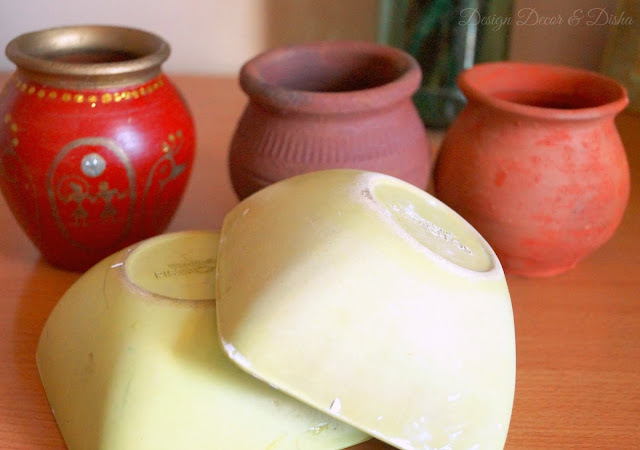 They are just gorgeous and can easily liven up any dull and boring space. I have been hoarding some clay pots and broken bowls in a hope that some day I'll put them to a good use. And here is my humble attempt to recreate the Anthropologie inspired look. I liked the colours and patterns so much that I didn't add anything from my side (except a few). I planted the plants that were already flourishing and multiplying in my garden. Here are some more images from different angles. And here's the final one to compare. Close enough? Yay or nay!! Click here to check out my Instagram Account. Would love to hear a word or two from you, dear readers. How do you find my handpainted planters.